Your enemies will tremble in fear before you when you wear this viciously horned helm. The Barbarian Helm wraps around your head, leaving only your eyes, nose, and mouth exposed. Tall horns curve out from the sides of the helm. These flexible foam horns can have their orientation adjusted for the maximum frightening effect. The back of the helm shows off the strips of leather than cover the back of your head and neck. A strap wraps under the chin to keep the helmet in place while you fight. Made from flexible 9-10 oz. 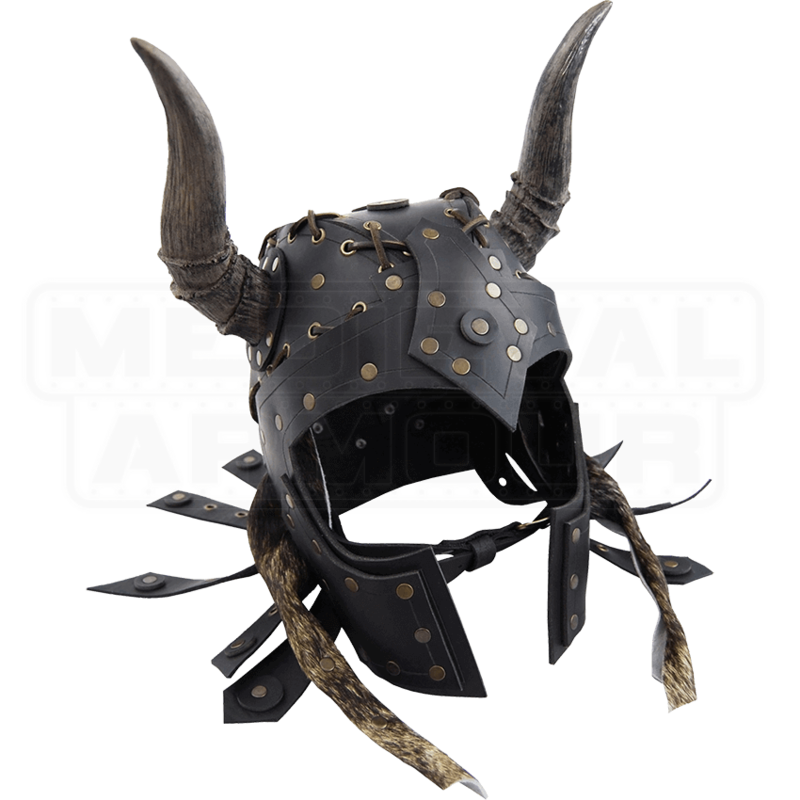 genuine cowhide leather, this helm provides a sturdy head covering to guard against attacks. 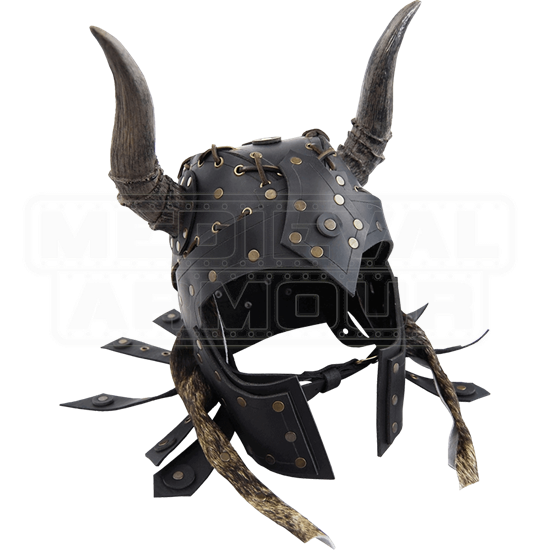 The Barbarian Helm is available in black or brown.